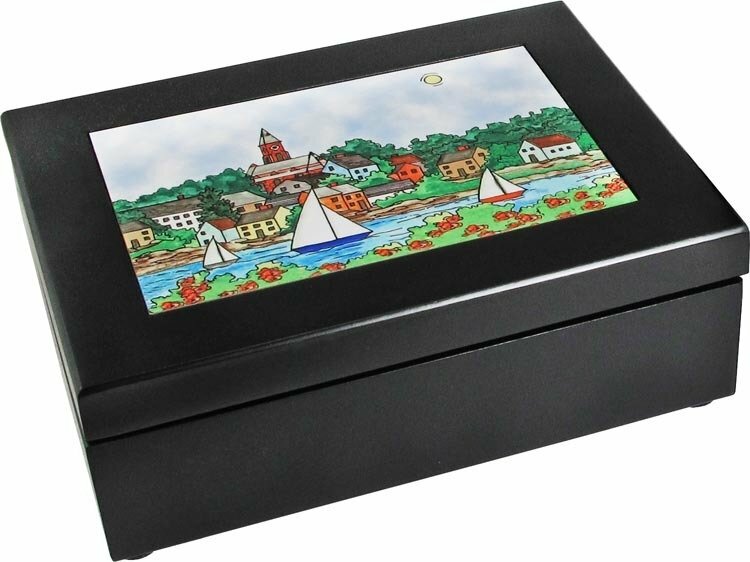 This lovely velvet-lined wooden keepsake box features our own Marblehead Summer Harbor watercolor painting. The original image was created in our own studio in Marblehead by one of our artists. The keepsake box has brass hinges and is finished in mahogany.